Earth Day 2014 is on April 22! 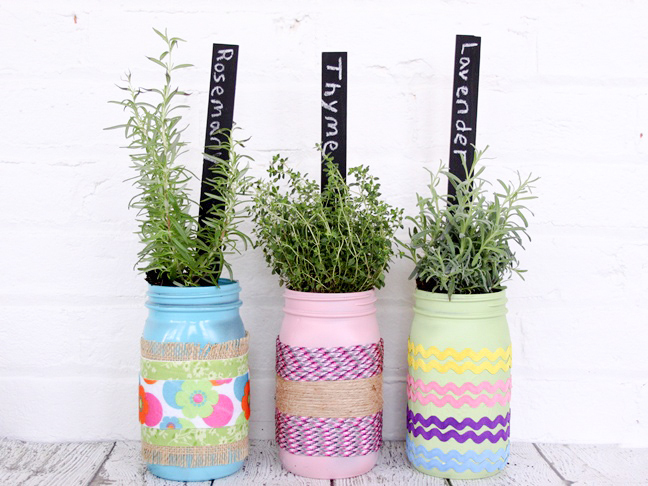 If you’d like to bring a little spring to your indoors, make a fun DIY mason jar planter with your kids and plant them with your favorite flowers or herbs. These would also make a wonderful Easter or Mother’s Day gift idea! 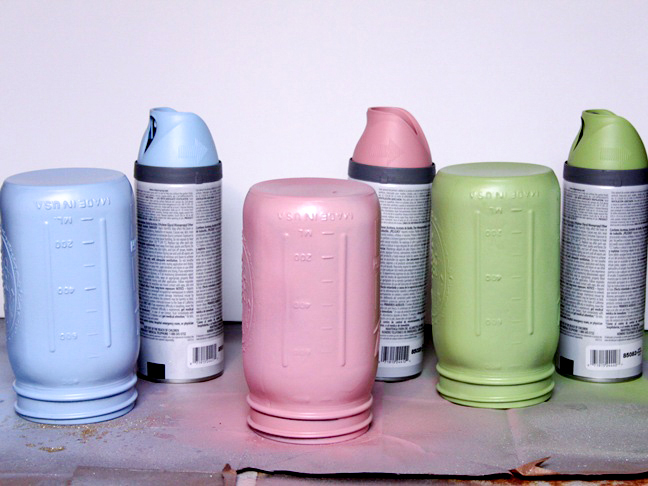 Step 1: Use the spray paint to paint one jar blue, then add a second coat of paint and set aside to dry. 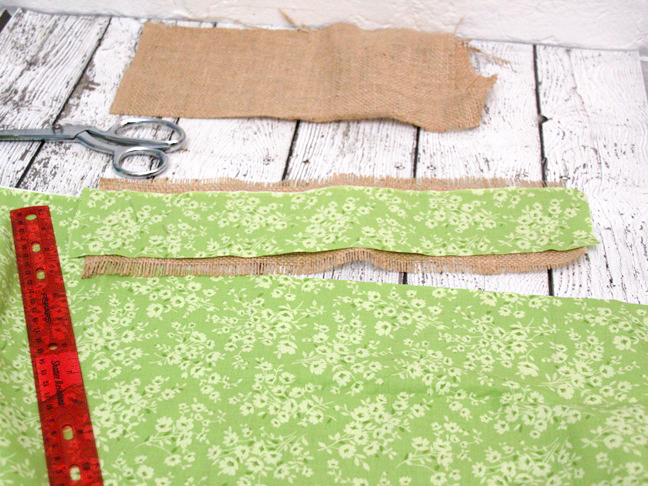 Step 2: Cut a piece of burlap to 14 inches long by about 4 ½ inches wide. 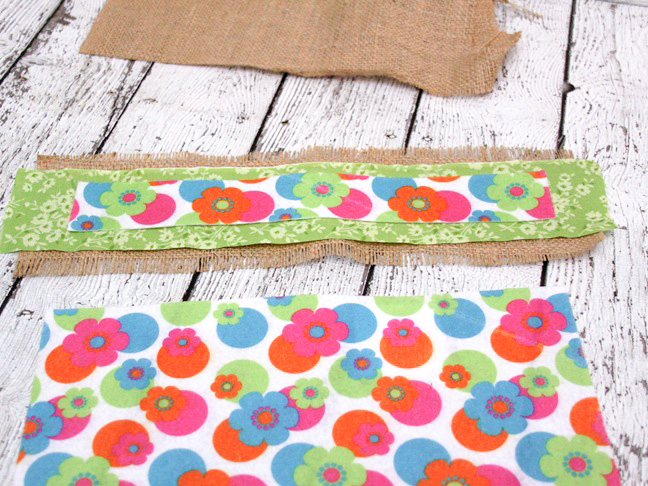 Step 3: Cut the cotton fabric to 14 inches long by about 3 inches wide. Step 4: Cut the felt to 1 ½ inches wide. 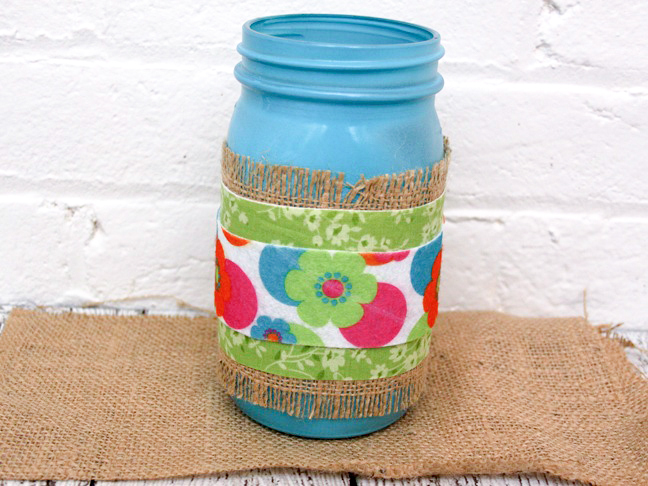 Step 5: Wrap the fabric strips around the green jar, and use hot glue to hold the fabric in place on the back of the jar. Step 6: Fill the jar with potting soil and add your favorite plants or herbs.